Essiac (es-ee-ack) is an herbal tea attributed to Canadian Nurse Rene M. Caisse, pronounced “reen (not re-nay) case”. (it is named Essiac after the backward spelling of her last name.) Rene dedicated her life to treating patients and trying to get her formula officially recognized. Her Rene M. Caisse Cancer Clinic for terminal cancer patients operated from 1935 to 1941. 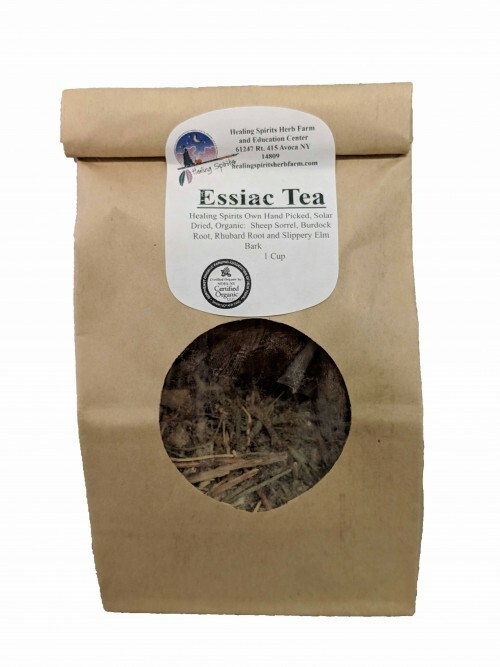 Essiac tea has become well known for it’s effectiveness in treating a wide variety of chronic illnesses as well as being an excellent natural detox method. Made with Burdock Root, Sheep Sorrel, Slippery Elm Bark and Rhubarb Root.